Not exactly declarations you might expect to read from a book in the “Spiritual Growth” section of your local bookstore. But what if I told you “I hate to floss” begins a chapter about developing spiritual disciplines, or that Tomlinson’s admission of “I don’t like people all that much”, begins a monologue about putting aside our need to “do big things for God” and embracing the concept that the Story of Jesus is the only one that truly matters? God, You are so amazing and majestic. The heavens declare Your glory, and there’s nothing quite like a sunset to show off Your artistry. I love to watch the sun setting over the ocean, God. You know, I love the ocean. In fact, my favorite place to be is sitting on a surfboard in the water at El Porto, gazing over the mountains behind Malibu. Actually, that view is always ruined by the smokestacks at the oil refinery. Who would put a refinery on the beach? I wonder how they actually make gasoline? You know, it cost me $60 the other day to fill up my truck. Why are gas prices so high right now? God, I’m sorry I wandered off there. Thank You for Your mercy and for always being there for me.You are such a loving Father, and You are always so incredibly patient with me, even when I’m off doing my own thing or I’m stuck in a rut. You know, Anna was in a bad mood the other night; I said what I said to her to try and help, but it only made things worse. I don’t think she was actually listening to me at all, and it was really hard to be patient with her. But I was. I’m a pretty patient guy; no, I’m am really patient guy. Don’t You agree, God? If you’re looking for a Sunday School type guide book on how to become a better Christian, this book is probably not for you. However, if you’re looking for a frank, honest and open account of one man’s ongoing journey (and chances are, many of yours) to make less of himself and much more of Jesus, I would highly recommend Crave. 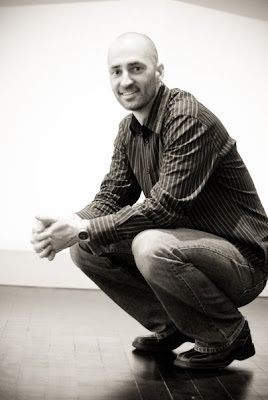 Chris Tomlinson is a businessman and writer. He grew up in Memphis, TN, went to college in Colorado Springs, spent 9 years in Los Angeles, and now lives in Northern Virginia. 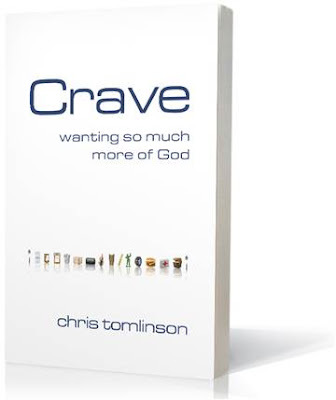 For more information about Chris Tomlinson and his writing, and for a free download of the first three chapters of Crave, visit him at his website, Crave Something More. Harvest House Publishing has generously provided me two copies of the book. If you would like to win a free copy, please leave me a comment letting me know. I will choose a winner at random a week from today.